DECEMBER 2013 – At the Amsterdam Light Festival, more that 1000 city residents contributed to one giant installation by Stichting Nieuwe Helden (New Heroes Foundation). 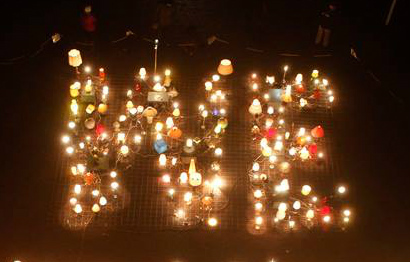 The artists collected bedside lamps from Amsterdam residents, and created an installation in which the lamps spell “We Light Amsterdam”. Stichting Nieuwe Helden (New Heroes Foundation) was founded by Lucas De Man (1984, Belguim) and Wouter Goedheer (1984, The Netherlands). They work together with a network of freelance artists to initiate and create art projects and urban movements. Picture from Building Roof. 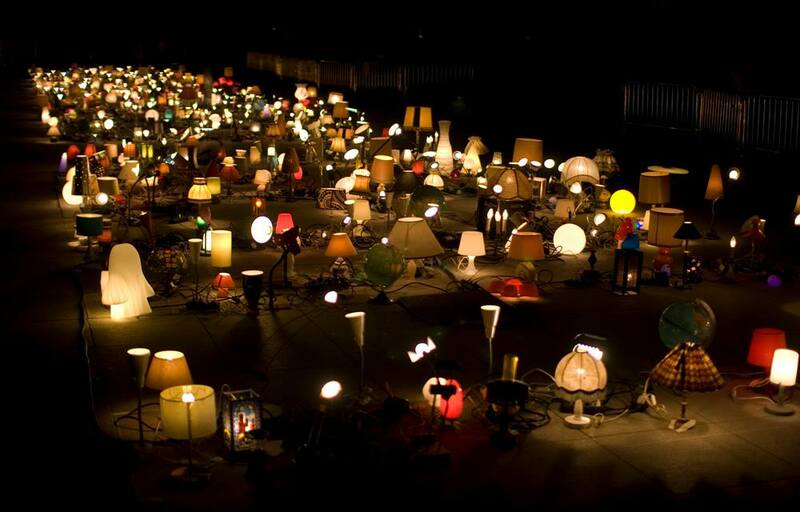 Lamps on Ground.